• Heavy duty automotive styling and welded construction protects the front end of the tractor from accidental damage. • One piece easy and quick to install and allows access to hood. Molded end caps. 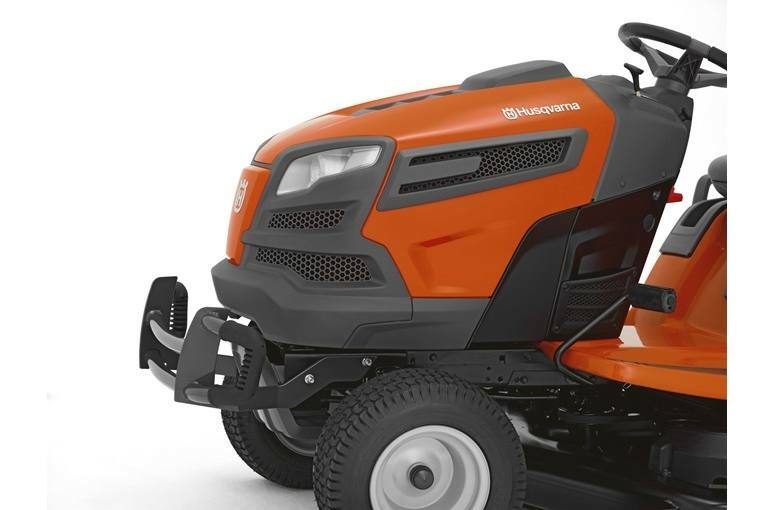 • Rugged design with silver power coat finish resists scratches and chips • Easy access to the tractor engine; no hood interference • Mounts easily to the tractor with hardware included • Fits all Husqvarna front engine tractor models (2006 and newer; does not fit zero turn, rear engine riders).